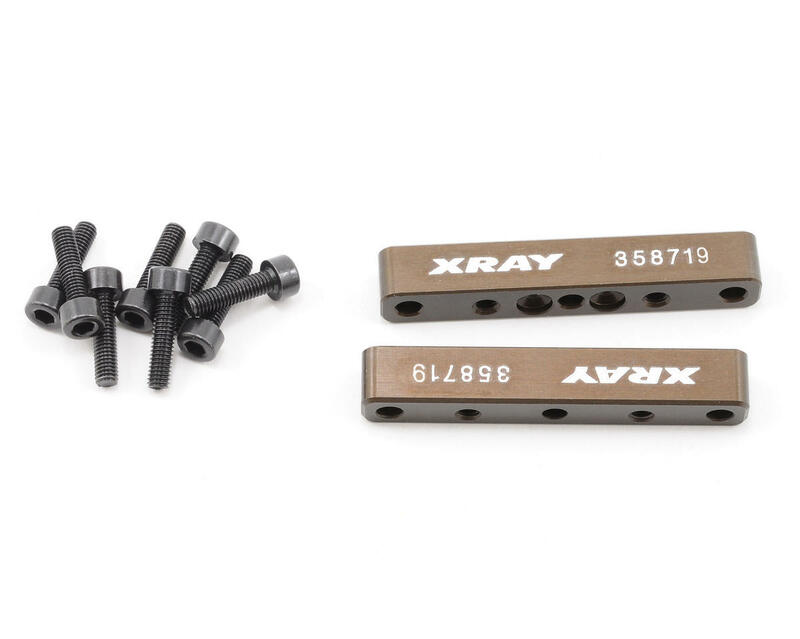 This is a set of optional XRAY engine mount upper blocks, and are intended for use with the one piece engine mount for XRAY XB808 and XB808 09 Spec Buggies, as well as the XT8 2009 truggy. This CNC-machined from premium Swiss 7075 T6 aluminum, hardcoated for extra durability and long life. Ultra-strong construction provides very long life and durability in even the most extreme racing conditions. Precision machined with highest tolerances using premium fully-automatic German CNC-machines. High-quality hardcoating is done at XRAY’s own in-house fully-robotic hardcoating line, ensuring a perfect hardcoated surface every time. 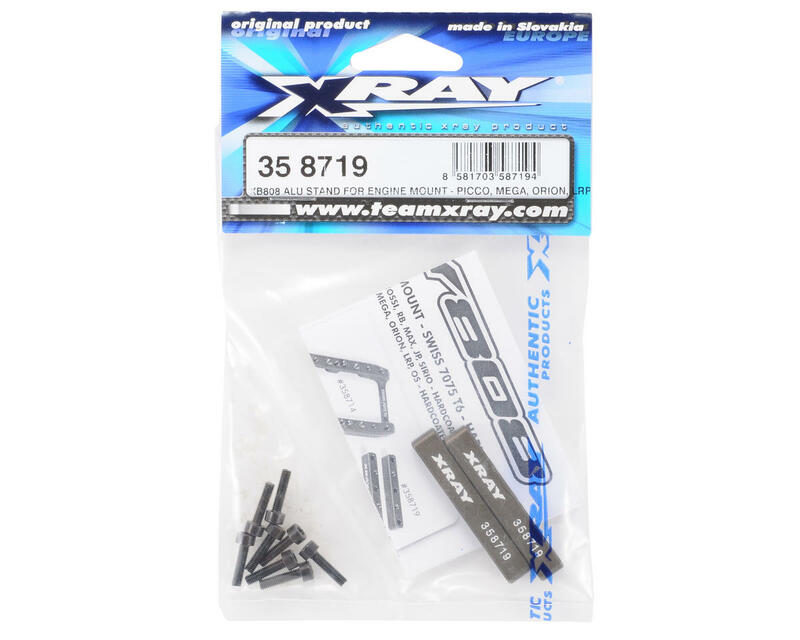 Laser-engraved with the XRAY registered logo and part number for easy identification. NOTE: These upper engine mount blocks fit engines manufactured by OS, Picco, Mega, Orion, and LRP.